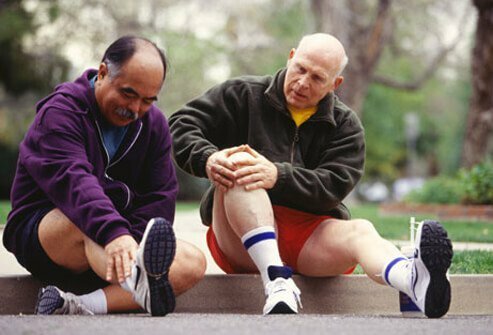 If you have nerve pain or peripheral neuropathy due to diabetes there is some evidence exercise may either improve or worsen nerve damage. 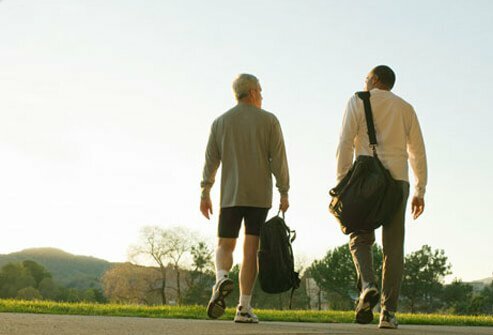 Consequently, people with diabetes should always speak with their doctors to see which exercise program might be the best for them to participate in. People with diabetes will need to make exercise a regular part of their ongoing treatment. Low–impact exercises seem to be useful and well-tolerated by many people with diabetes. 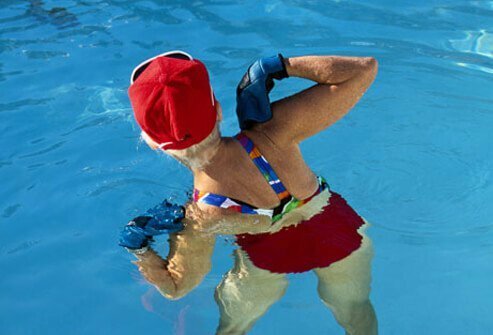 Exercises such as swimming, water aerobics, yoga, or tai chi are usually good choices. These exercises may also help you improve balance and relaxation skills. High-impact exercises may actually make symptoms such as peripheral neuropathy worse or cause damage that you are not easily able to detect because of peripheral neuropathy. For many people with diabetes and peripheral neuropathy, a regular exercise program is something they haven't done in a while. You need to begin to exercise, but begin slowly and gradually over days and weeks. You can slowly improve so you can exercise about 30 minutes a day, five times a week. The key for beginning an exercise program is to go slowly and improve by making small advances over long periods of time. With peripheral neuropathy, sometimes balancing yourself is difficult. Balancing can be improved slowly by doing some simple exercises. For example, you can practice getting out of a chair slowly by using your arms to help steady yourself. This exercise can be easily repeated several times during the day and it can build confidence and show you have the ability to do simple tasks without asking others for help. Improved balance may help you to take another step forward in your exercise program. 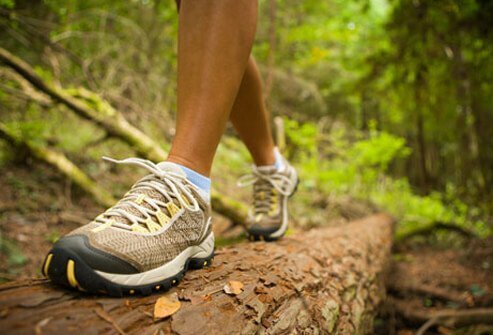 Increasing the difficulty of certain exercise tasks can result in very good benefits for those with peripheral neuropathy caused by diabetes. One such task is attempting to balance on one leg. Before trying this task, you should be next to a stable object in case balance falters. Attempting to do balance on each leg for 30 seconds without holding on to a stationary object is a reasonable goal. This can help your confidence, strength, and balance. Okay, maybe walking a tightrope is a bit ambitious! But balance is improved if you practice walking heel-to-toe both forwards and backwards just like tightrope walkers do. 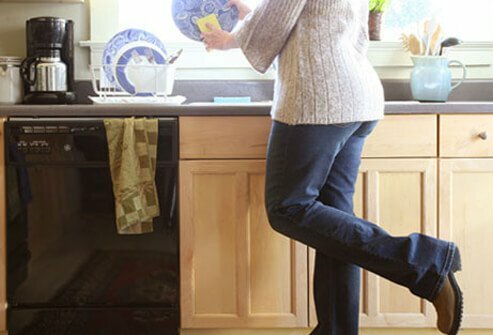 As people with diabetes with peripheral neuropathy progress, there are other exercises that can further improve balance. For example, standing close to a stable stationary object (a desk or a chair), you should slowly rise up on your toes and hold that position as long as you can without using your arms to hold on to a stationary object. This can be done every day and repeated at least three times, attempting to slowly increase the time you spend on your toes. In the beginning of the slideshow it was suggested your doctor should approve of your exercise program. In addition, your doctor will probably check your heart, eyes, and feet to determine the best type of exercise you can do depending upon any disabilities. Special care should be given to the feet since peripheral neuropathy may interfere with you realizing you are developing blisters or cuts on your feet. As stated in the preceding slide, people with diabetes with peripheral neuropathy should pay special attention to their feet. In terms of exercising, a good-fitting pair of athletic shoes is one of the better ways to avoid foot problems such as cuts, abrasions, and/or blisters. For those people with diabetes who are more advanced in their exercise program, it may be a good idea to bring along a quick source of carbohydrates (for example, a small can of orange juice or sports chews or gels) in case you have a drop in blood sugar due to exercise. For those people with diabetes with peripheral neuropathy or other problems, it's a good idea to check blood glucose levels before and after exercise. If your average blood sugar is over 250 mg/dL, and you have type I diabetes, you might want to check for ketones in the urine. If the ketones are moderate or high, exercise should be delayed until the ketone levels are low or absent. 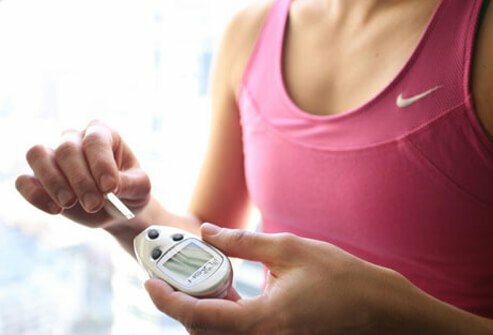 Discuss with your doctor the glucose levels you should have before and after exercise and what you should do if the glucose levels are not within those parameters. Exercise shouldn't be a chore. It should be enjoyed. 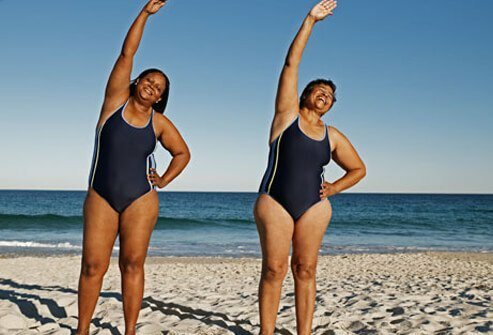 Do an exercise you enjoy such as swimming or walking - whatever gets your body moving - will help your health, and can be fun so that you want to keep doing it. As stated previously, people with diabetes don't need to do extreme or high-impact exercises which may actually worsen their condition; low-impact exercises are encouraged. Exercise for a person with diabetes, besides being fun, can also be a social event. You and a friend (human or animal!) can have a good time and encourage each other to slowly advance. Joining a low-impact exercise group can reinforce the idea of regular exercise and also be a way to develop socially. Once you have developed confidence and better balance, it may be time to take on a new activity. 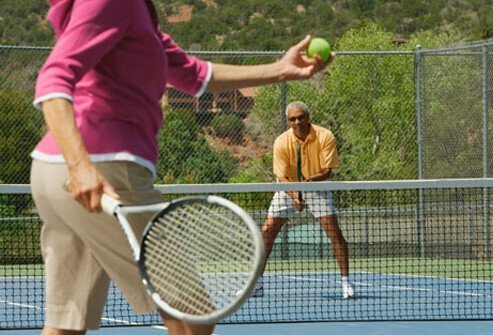 What activity really depends on your individual desire, but some suggestions include bowling, dancing, golf, or any other sport or activity that varies from your usual exercise routine. Consequently, if you are person with diabetes with peripheral neuropathy and gradually increase your exercise tolerance and balance, participating in social sports is not an unreasonable or unattainable goal. Medscape: "Diabetic Neuropathy Treatment & Management"